Series 10 of Doctor Who has been littered with truly sublime moments, and sometimes, we forget the lovely little scenes in amongst general love or hatred for an episode as a whole. 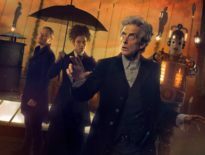 It’s time to look back at Peter Capaldi’s last full season as the Twelfth Doctor, as he’s joined on adventures through time and space by Bill Potts (Pearl Mackie), Nardole (Matt Lucas), and a very dedicated fanbase. Is The Return of Doctor Mysterio part of Series 10? Yeah, why not? Otherwise, it feels adrift from everything else, and we do at least get Nardole’s first full appearance as part of the TARDIS team. This transitional speech feels very much like a summation of the magic of Christmas, and the magic of Doctor Who. 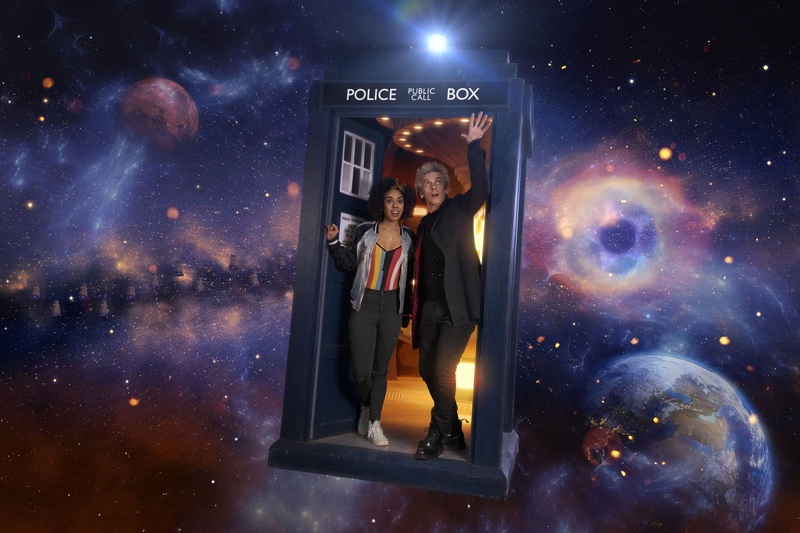 The Pilot is filled with special moments, including her questioning how the rug she bought for the Doctor could end up underneath the big blue box in the corner of his office. 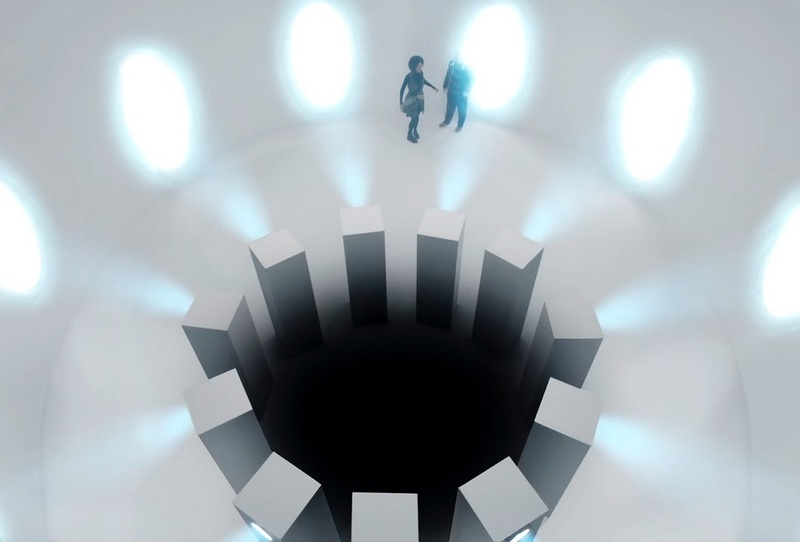 But really, you can’t beat one of the most spectacular TARDIS entrances of recent times. As the camera zooms backwards and the console room lights up, the TARDIS has never looked bigger. It was definitely worth the extra effort the production team went to in order to capture this immense scale (including hanging a heavy camera from the top of the time rotor, which nearly toppled the whole thing over, apparently!). One of the fantastic things about Bill was how she embraced and actively celebrated the new. It’s always the case when a companion first boards the TARDIS: the universe, they realise, is wonderful (apart from poor Donna, who has to quickly face the victims of Pompeii, and the slavery of the Ood). Soon, that enthusiasm seems to ebb away as they become used to their journeys. In Thin Ice, it’s tempting to plump for Bill’s confrontation with the Doctor about him killing people, and his rebuke that he’s never had time for the luxury of outrage. But once again, it’s a tiny moment, delivered once more in an understated yet poetic way by Peter Capaldi, that should take centre stage. Though it somewhat flies in the face of A Christmas Carol‘s assertion that everyone is important, it’s nonetheless the pay-off we needed for Bill, realising who she’s travelling with. Knock Knock is certainly one of the creepiest episodes from Series 10. That much is evident from the grisly way Pavel is despatched – gobbled up by the wooden walls of the house. It’s almost Bill’s fault it happens too, as she asks her mate, Shireen to stop the skipping record, not knowing that this was what had stopped the house entirely engulfing him before. Then in comes the Landlord, played beautifully by David Suchet, with an icy line: “Hope is its own form of cruelty.” And Pavel disappears into the wood. It’s an eerie and deeply troubling image that sticks with viewers long after the episode concludes. Oxygen‘s pre-titles sequence is absolutely stunning, in a harrowing sort of way. Narrated by the Doctor – who informs us that the void of space is always waiting – Ellie and Ivan make their way across space station, Chasm Forge (great name), unknowingly pursued by their deceased colleagues. 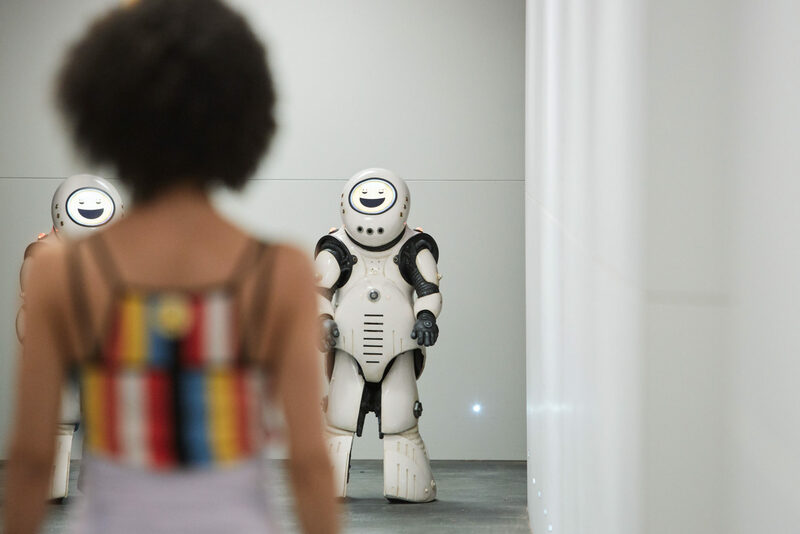 Jamie Mathieson excels at mashing together the surreal and the human: nowhere is this better presented than when Ellie tells Ivan she wants to have a baby with him – but the communications link is dead. And soon, so is she. Kudos to returning director, Charles Palmer, for capturing the horrific tragedy of this scene so well. The only reason this moment isn’t generally remembered as the episode’s best is that Oxygen is such a masterpiece. The scene set inside CERN’s Large Hadron Collider facility, featuring the Test of Shadows, is pretty unsettling stuff, but we’ve essentially seen it before in Last Christmas. 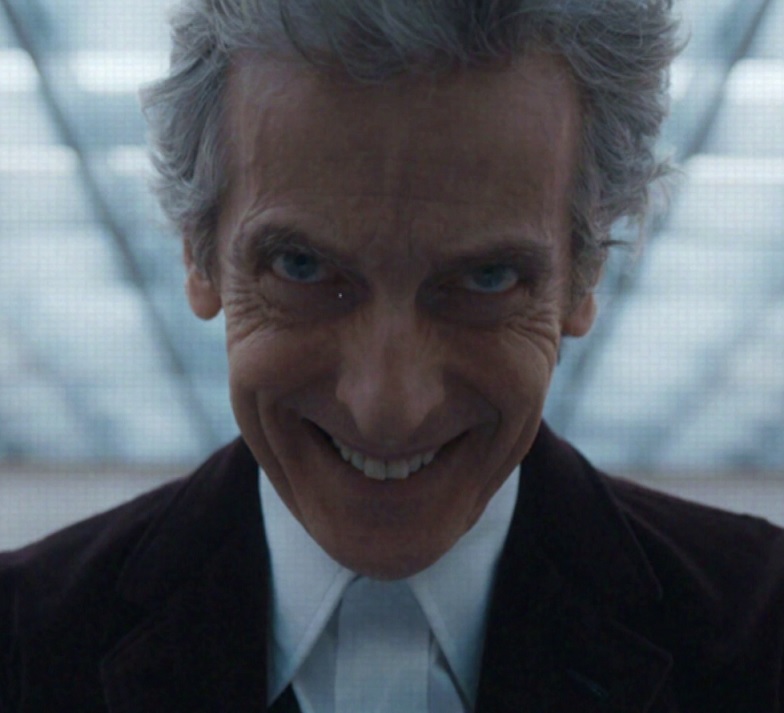 What we hadn’t seen before Extremis, however, was Nardole being very clever and then going into full-on panic mode. In the projection room set up by the Monks, Matt Lucas’ character, who hadn’t properly been given a time to shine, figures out the whole crux of the matter, probably before even the Doctor does, and certainly without the help of the Veritas. He’s not real. Their reality isn’t real. There’s a horrifying inevitability as Nardole dissolves into strings of numbers, then into nothingness. There’s nothing anyone can do. Bill stands there helplessly. It’s one of Nardole’s finest moments. Stuck in a laboratory that’s about to blow up in The Pyramid at the End of the World, the Doctor is about to sacrifice his life to save the world from the meddlesome Monks by stopping a biohazard. The Doctor might’ve been able to find another way out – Skype, anyone? – but was there really time? Not especially. Not considering he has to drop the bombshell that he’s still blind. Capaldi is surprisingly calm here, and it’s nicely done, but what particularly makes this impressive is how that is spliced with Bill’s reaction. 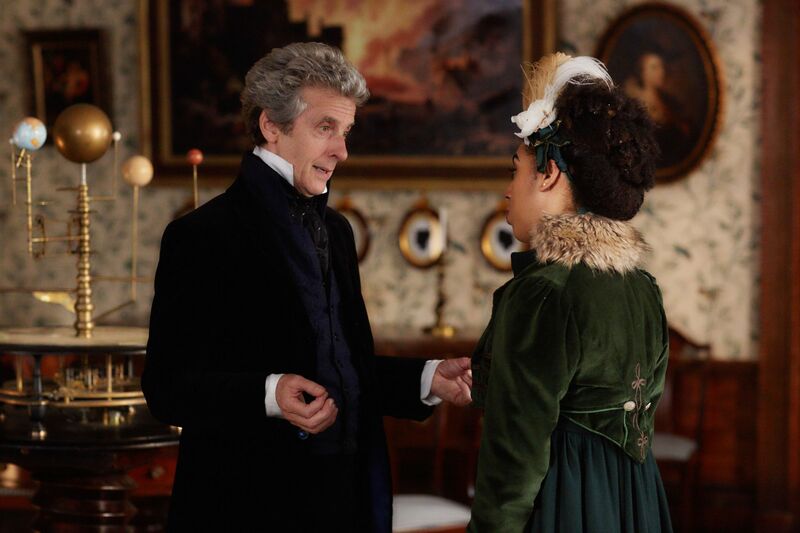 Pearl Mackie excels as Bill realises the Doctor’s death could be her own fault: after all, the Doctor is only blind because he saved her from the vacuum of space. She does the only thing she can do: turns to what seems like the lesser evil for help. Oh, we’re perfectly used to seeing a dystopian land where the citizens of the planet are brainwashed into thinking things are how they are meant to be – but it’s not normally the Doctor telling us all that a fascist regime is good. 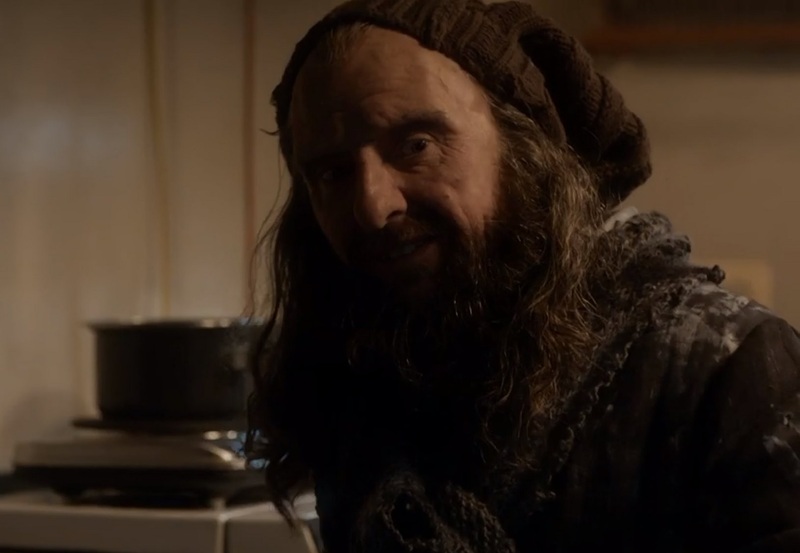 The Lie of the Land briefly lets us see the face of the Earth with the Monks etched upon it, and it’s quite a chilling sight, especially given Nardole’s later statement that “however bad a situation is, if people think that’s how it’s always been, they’ll put up with it.” The pre-titles sequence shows us a Doctor working for the Monks, assuring the population that their future is taken care of. It even neatly adds in one of his oft-repeated phrases, “Do as you’re told.” Brr. The Empress of Mars was a joyous affair, courtesy of Mark Gatiss – but even the unveiling of Iraxxa, the first female Ice Warrior to ever be seen in Doctor Who, couldn’t top a very cool moment at the episode’s conclusion. You know what I’m talking about. It’s only Alpha flippin’ Centauri! Okay, so casual viewers would’ve been considerably baffled, but it’s worth having to explain to them in depth about The Curse of Peladon and The Monster of Peladon, just for the sheer fan-ecstasy of seeing that bizarre alien again. Plus, VOICED BY YSANNE CHURCHMAN. 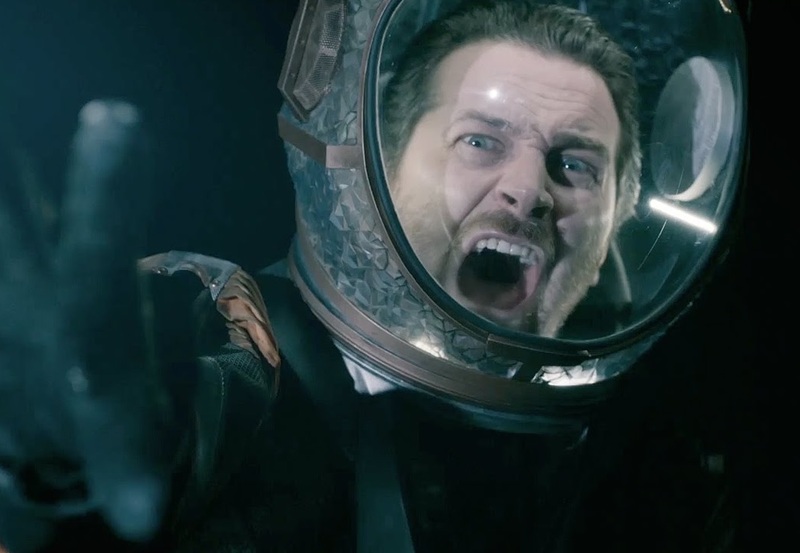 Well done, Doctor Who. For Rona Munro’s second Doctor Who, she took us to Scotland, to see what happened to the Ninth Legion of the Roman Army. There, not only did we find the last dregs of this supposedly-formidable force, but also some Pre-Picts. 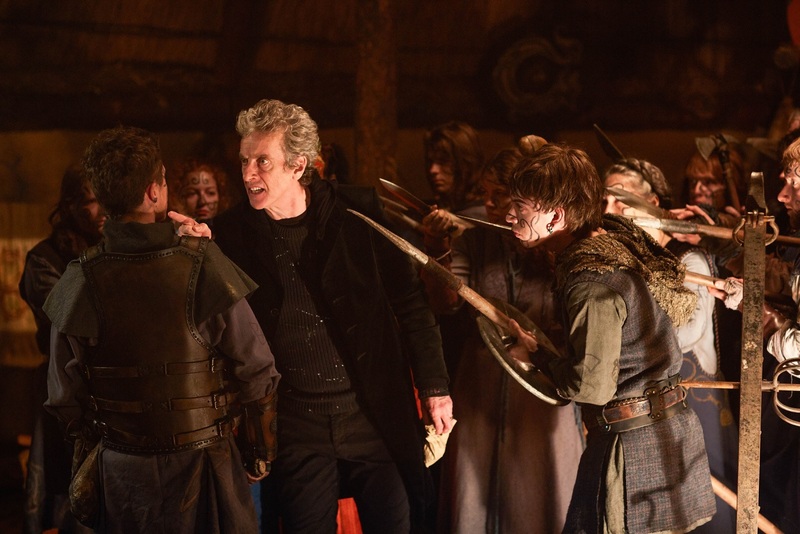 The Doctor and Nardole are surrounded on all sides by spears and angry Scots. This is a precarious situation, with the pair completely at the mercy of — oh wait, no, the Doctor’s just turned the situation on its head. Forget the titular Eaters of Light: the Doctor shows how fierce he can be as his patience breaks and he cuts through the crowd. It just goes to show that the Doctor can get out of most things; he’s just tolerating everyone and everything. All this is topped off by a stereotypically brilliant, but simple, move, as he flings some corn into the fire and escapes when the Pre-Picts are terrified of the resulting popcorn. Hilarious. World Enough and Time was another high-point for the series, and it’s propped up by an exceptional performance from John Simm – as if you’d expect anything other than sheer brilliance. It’s been quite a while since the Master donned a mask (The Mark of the Rani by my reckoning, going method by dressing up unnecessarily as a scarecrow), but Harold Saxon proves he still loves a good disguise. This could easily have gone to the Master and Missy’s joint suicide, or the First Doctor, played here by David Bradley, cropping up at the end, presumably mid­-The Tenth Planet. But no. Let’s instead highlight a tearful, understated, and rather perfect farewell to a character the show hasn’t treated particularly well. Nardole. In The Doctor Falls, he shows what use he could’ve been if writers actually found something for him to do. Never is he better written than here, and Matt Lucas has been a surprisingly good addition to this series. That’s just a brief selection of wonderful scenes from Doctor Who Series 10. But what are your favourites? Any particularly wonderful speeches or performances or direction? Any ideas that’ll stick with you long into the future…?